Of course we all love a good smudged, blended, all natural look that is basically a trend each season. But for any and everyone who likes to step out of his/her comfort zone and step up her beauty game, here’s a statement beauty trend for fall. 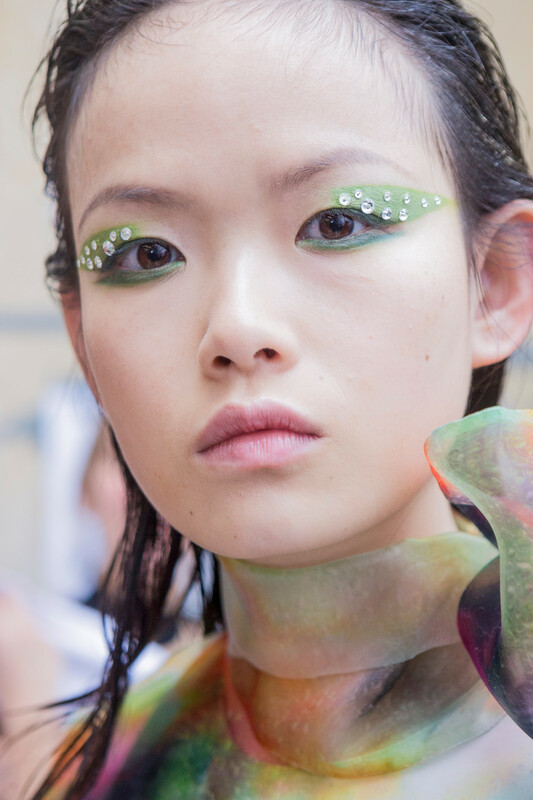 Make-up like a true work of art, spotted at the likes of Altazurra and Dries van Noten. 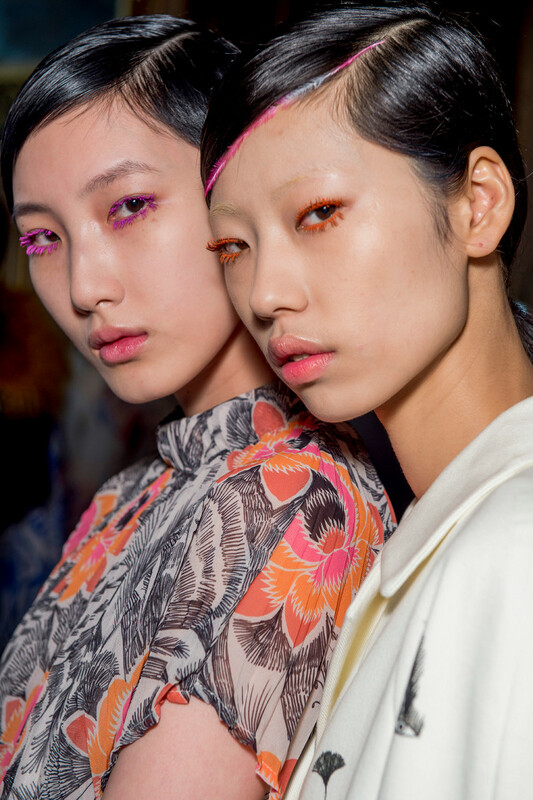 Bright colors, the strongest eyeliner and dazzling metallic accent make-up for some of this fall’s most outspoken beauty trends. No Kira Kira needed when you’re capturing this. 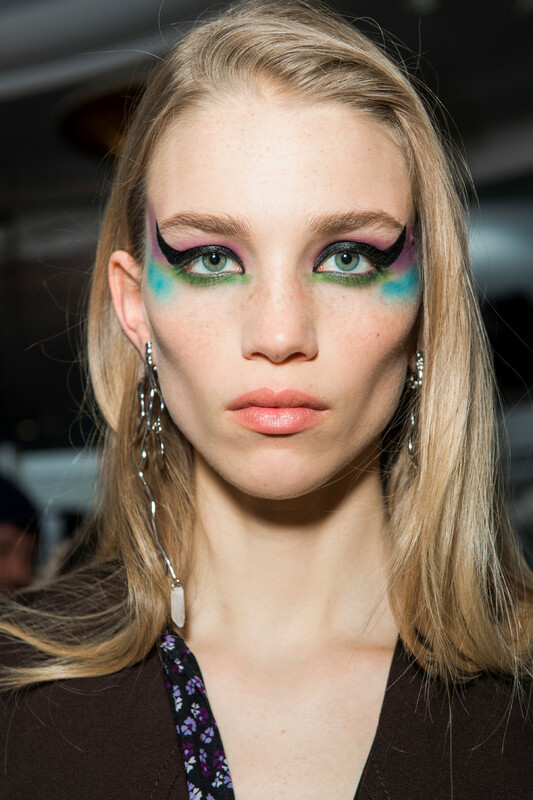 Designers like Giambattista Valli, Prada and Akris all gave their models a sparkling glam look. 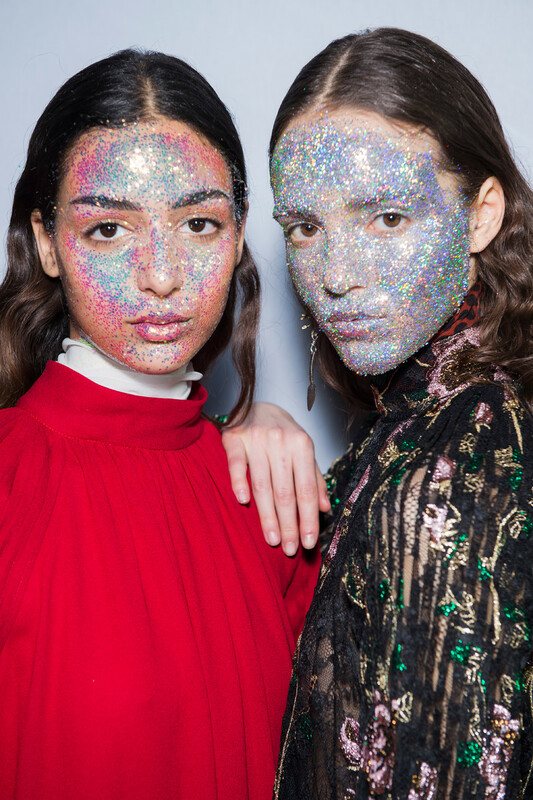 A spark on as well as in their eyes (Prada) and what a mesmerizing full on glitter look Giambattista sent out! 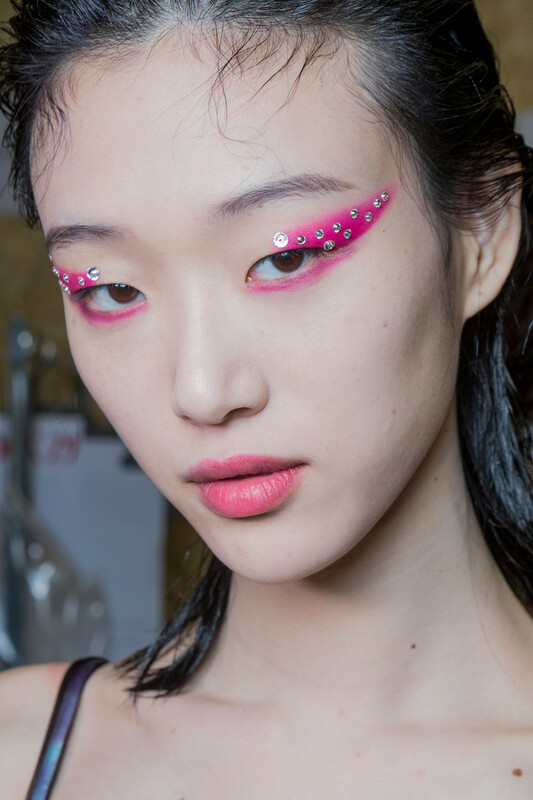 No need to hold back with this beauty trend. Just have the most fun getting ready, shine bright and be the star of the night. Have we sparked your interest?